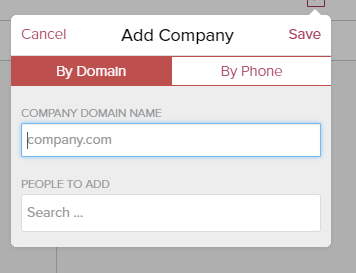 It would be great to have a contact list inside Missive with some custom fields, like full name, email address, phone number and some others (customer ID as a string, bullets, dropdown menus, tags, etc.). I would like to create a new contact when I receive an email inside Missive. Some fields, like full name and email address, could be populated automatically. This list could be synced with other services like Gmail Contacts, or could be made available for import and export in a csv file. There was a topic on a sidebar with additional information about a sender. It would be great to see there an information about a contact from the contact list, with custom fields and previous communications. Also you could add comments and tasks to contacts. In a new received email, right click on the from senders to add to the contacts (a quick check to see if the person was already in contacts would be performed). Right clicking on the from sender would also be great for creating a label/tag and/or rule. It would be awesome if there were a way to regularly pull data from outside sources (e.g., AirTable-based CRM through a Zapier connection?) to populate the contact fields. Can Twilio SMS have the name of the person you are texting with? Currently I only see the number and that creates confusion, I'm not sure who the client. Front has this enabled. YAY! Happy to see this is now in progress. :-) Happy Holidays! @Nik Schultz: Look forward to this. Vital Feature. Android Missive client should also integrate with the Android Contacts Provider to allow dialling Missive contacts from default dialler etc. Contact - Individual person in which we collect all kinds of information and pull from places like fullcontact.com to add more. These people can be simply contacts or they can be added to companies (organizations) or groups (chamber group) or to both or not at all. We should be able to see all communication history of the contact and our company or myself. Company (organization) - A collection of people who all typically have the same domain name in their email. The system can pull these people together in a company by domain or by main phone number (see attached from Cloze.com). There should be a way to add people who don't use the company domain, but 95% will be people who use the same domain. We should be able to click on a company and see all people connected to the company and all communications history between the company and my company or myself. Could also send a mass email to the company. Group (list) - A group is a collection of people that are added together that usually do not have the same domain email as they are usually from different companies, organizations, or simply individuals. You would create the group and then add people to it. These folks could also be members of a company. By clicking on the group you should ba able to see all people connected to the group and all communications history between the group an my company or myself. These could be groups like, chamber of commerce group, church group, non-profit board, peer group, business networking group, purchase group, event group, etc. etc. Could also send a mass email to the group. There really needs to be three levels of contacts: 1: The individual contact and all related communications. 2: The company/organization (contacts with the same email domain-usually) all related communications with all contacts at the company/organization. 3: Last, Groups - a group of contacts that don't usually have the same domain in their email but are grouped together for a specific reason: chamber of commerce group, non-profit group, Rotary Club Group, peer group, networking group etc. all communications related to the group and its members would be tracked. See my more lengthy description belop merged into this phos by Philippe Lehoux. @Chuck Lobaugh: Making a TAG for contacts would permit to have our own Types of contacts , so Tag could be compagny, users, paid users, or anything that fit our business..
@Tamara Zuk: This is a feature we will add... in the meantime send the list of emails you want to be removed from your search results to support@missiveapp.com. We will remove them. Looking forward to this option but here's a work around I came up with for our internal staff contact list: add the email addresses to the body of the responses. Choose the response that holds the list of emails you need. Copy/paste out of the body and into the "to" field. We have 3 locations with 6 - 14 ppl at each and I separate them in the body of the response. I only take who I want and delete it afterward. We don't do this for our customers, too many. I'm guessing managing contacts can be a lot of work so maybe before you do that, you could facilitate a copy/paste for contacts? Because right now, if I wanna copy/paste a list of contacts for creating an email, I need to copy them one by one. It'd be good if the system recognised a separation sign (usually ";" or ",")! Also, sometimes when I'm writing to multiple contacts, typing in a name and an adress can be a mess because only one or two characters are visible. It makes it very difficult to look for any mistake. When i validate it, it goes on a new line, but if I want to correct it, I'm back on the previous line where I can't see anything. Fronts has a system for contacts, show them how it’s done missive! An address book / contact list would be a great addition here to Missive to allow managing your email contacts, removing duplicates and enabling team members to find the contacts when they need to email. This with a Pipedrive integration would be sweet! 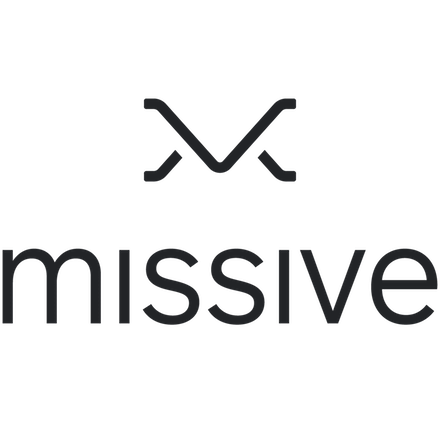 This is the very first thing I felt was missing when using missive for the first time. Please add this. Then I could use the API to populate the contacts with our Pipedrive account. This is a really useful idea - even if just integration with full contact - would make things so much easier for us! I hope this is a feature very soon! +1 This would be must-have feature for a full fledged suite, including the ability to sync contacts with Outlook, Google, or maybe even on an organization-wide level. Yessss! I would love to see this. I would like to see a contact manager or integration with Full Contact Etc.